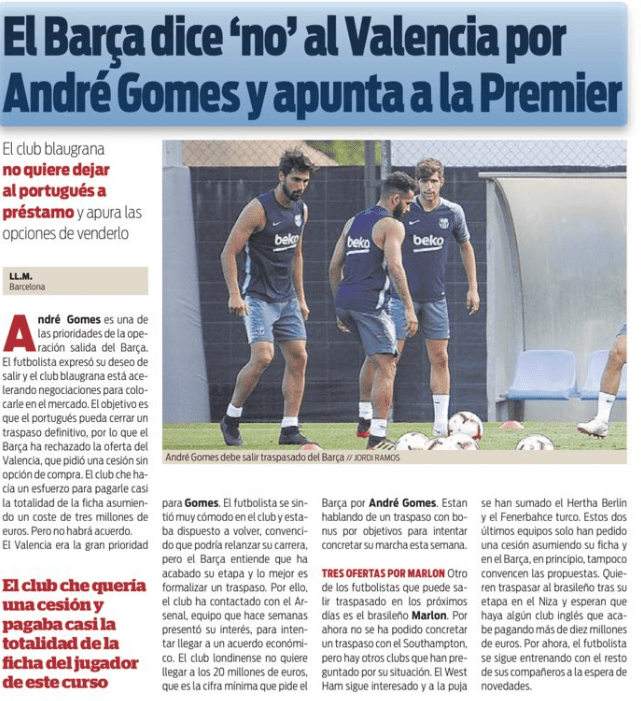 Arsenal have been linked with Portuguese international and Barca midfielder Andre Gomes for quite some time and the latest reports are intriguing. According to Sport, the north Londoners have been interested in the player for weeks and are trying to reach an agreement with the Catalan club. The Spanish source have mentioned that Barca have told Arsenal that €20m would be enough to agree a deal but the PL club do not want to match that price. Gomes was brilliant for Valencia and earned his place in the national team for the European Championships in 2016. He played a pivotal role in helping the Seleccao win the title. After the competition, he signed for Barca and things drastically changed for him. In the presence of star midfielders, Gomes has warmed the bench at the Nou Camp for two years and therefore, he could not make it into the national squad for the World Cup. He needs to leave the Catalan giants in search of regular first team football and a move to Arsenal could help. Cazorla and Wilshere have left the club and Torreira has joined them in the summer transfer window. Xhaka has signed a new deal but Ramsey has not put pen to paper as yet. Egyptian international Elneny is there as well. Gomes is a versatile talent, who can play anywhere in the center of the park (DM, CM, AM). In such a scenario, his arrival will largely improve the quality depth of the squad. The midfielder’s current deal with the Spanish champions will expire in 2021 and it has a huge clause (FCB) of €100million. He will turn 25 on July 30 and in all fairness, the mentioned €20m asking price is not a huge one for such a talented player.